If you're dreaming of a relaxing honeymoon near the ocean, these affordable beach honeymoon destinations won't break the bank! After a stressful wedding planning season, you and your new spouse will definitely be in the market for much-deserved and earned R&R. That makes a getaway to the shore and the sea a no-brainer. The good news is not every tropical destination will cost you too many sand dollars. 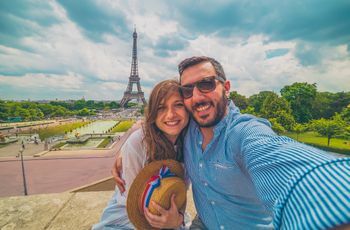 Throughout the United States, the Caribbean, and even all the way to the east, there are numerous affordable beach honeymoons spots that allow you the rest and vitamin D you need, without dipping into your savings. Here, a few scenic spots for affordable beach honeymoons. This port city in America’s South is known for its historical significance and unique, romantic charm. You can tour the famed downtown by foot, navigating cobblestone streets and even take a horse-drawn carriage to take in the colonial buildings. It’s recommended to spend at least a few afternoons in the French Quarter and the Battery district, which offers a sprawling waterfront promenade connected to the harbor. 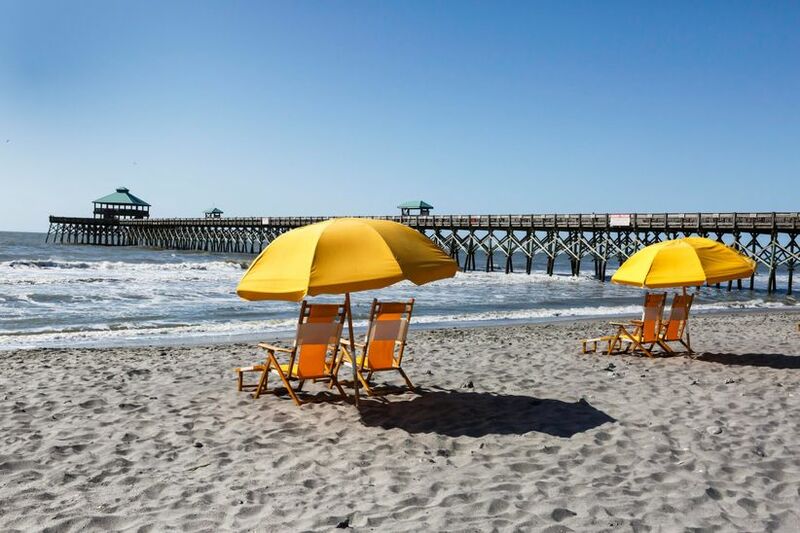 While staying in the quaint bed-and-breakfasts during your Charleston honeymoon can be expensive, you can save money by staying in the Folly Beach area. Especially during the off season in early spring or fall, you can enjoy a quiet escape to put your toes in the water, read a book or even snuggle under the sun. One of the most famous activities to do is to fish off of the 1,000-foot Folly Beach Pier that’s surrounded by boutique shops and restaurants. 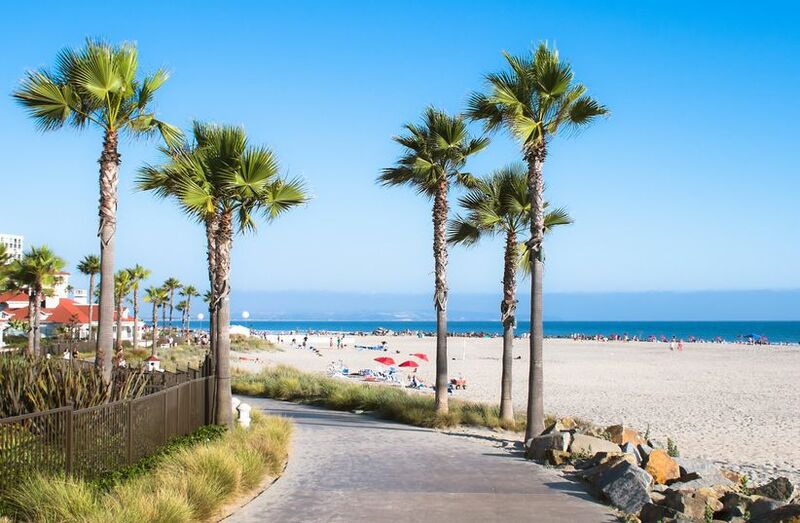 Since it is only a 20-minute drive to downtown, it’s ideal for those who want to remain on budget, and get a bit of city and a healthy dose of ocean, too. 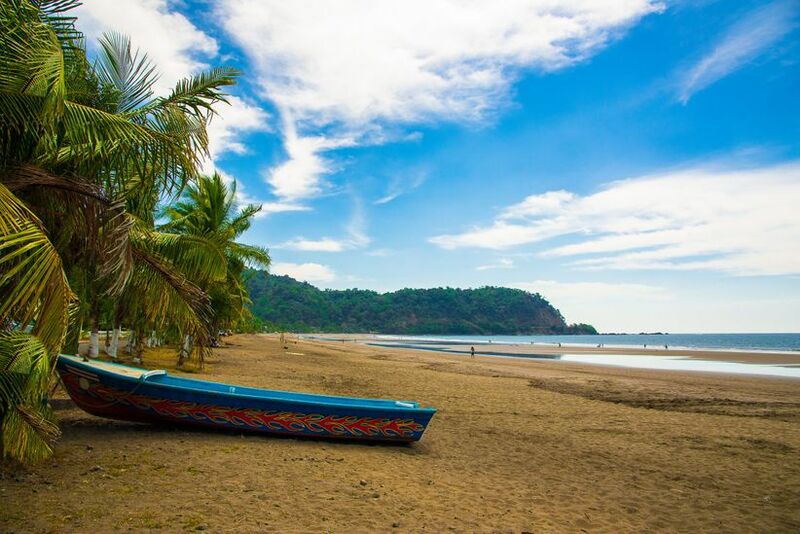 As one of the most dynamic beach destinations in the world, Costa Rica is surrounded on both sides with dramatic and dazzling shores, with the Caribbean on one and the Pacific on another. While many honeymooners choose to explore many of the various terrains—from volcanoes to rainforests—if you’re mindful of spending, you can stick to Jaco, a town in the Pacific coast that’s not too far from Costa Rica’s capital, San Jose. Here, you will see plenty of surfers doin’ their thing, and have easy-access to restaurants and nightlife. In the area there are many beaches to choose from—and also many natural wonders to explore. Thanks to its location, you have easy access to the Carara National Park and the Pura Vida Park, both of which offer a glimpse at wildlife (including crocodiles) and even Mother Nature’s masterpieces, like waterfalls, winding hikes and more. You might not think of Hawaii as an affordable beach honeymoon—but think again! Your romantic excursion to the United States’s most gorgeous tropical paradise can be within your budget if you visit during the offseason. Set your dates from April to mid-June, or September to mid-December and you’ll find much more reasonable rates. Create a flight alert to snag the best deal on airfare, and prepare to pack your bags. 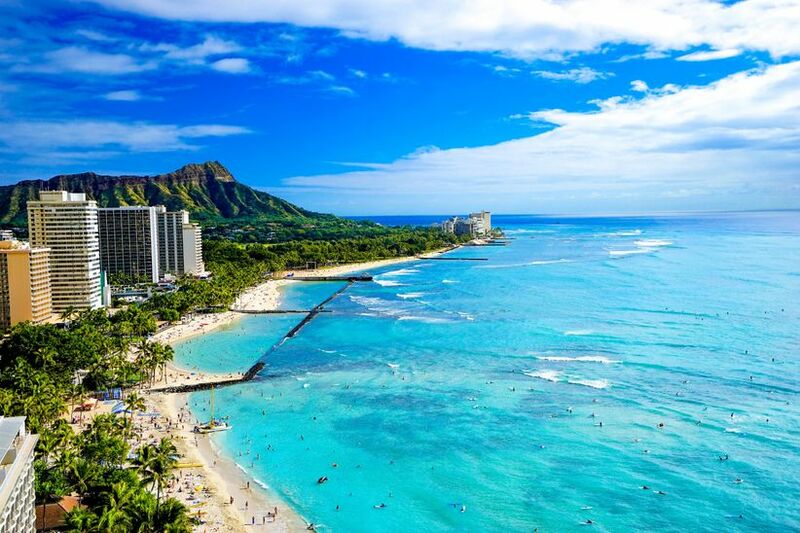 Oahu can be a cost-effective spot to stay since it’s home to Honolulu, the state’s capital that you’ll fly into. You still have many beaches to frolic about, as well as easy access to the city center. This makes for an interesting and diverse trip together, where you’ll come back with a deeper understanding of the history of this island, and hopefully, a tan. 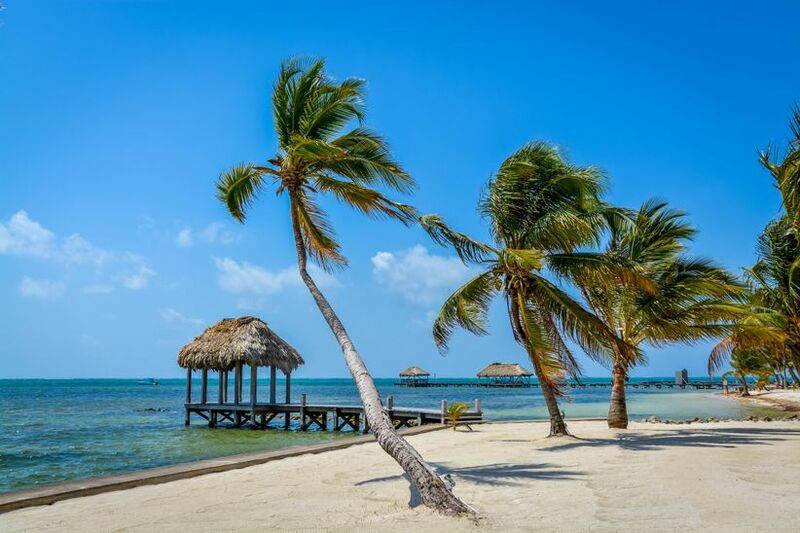 As Belize begins to skyrocket in tourism, there’s no better time to check Belize off your passport stamp bucket list! No matter what part of this Caribbean country you visit, you’ll find affordable—and sometimes downright unbelievable—prices. For couples who like to explore what’s under the ocean surface, consider booking your honeymoon in San Pedro Town. This hotspot is located in northern Belize and is part of Ambergris Caye. You won’t find pavement here, but rather, streets made of sand that guide you along the small hub, complete with seafood shacks, bars and small Airbnbs. 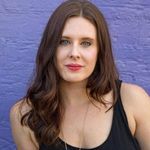 Because nearly everything here is inexpensive, it’s worth the upgrade to book a home-away-from-home with air conditioning, since hey, it will get steamy. San Pedro is most known for scuba diving, since it provides access to Hol Chan Marine Reserve, where moray eels, nurse sharks and stingrays collect. 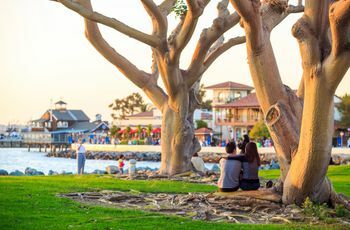 Skip the chaos of Los Angeles, and enjoy the laid-back charm of the California mindset by booking your affordable beach honeymoon in San Diego. No matter if you book a hotel, a resort or an AirBNB in this area of the Golden State, you’ll find nearly year-round budget-mindful prices. Though it is recommended to rent a car to help you navigate the many attractions of the area, you can easily find a beachfront property to celebrate your marriage. After you spend a few days watching surfers try to hang 10 and nibbling on some of the best tacos in the country, make sure to stop by the San Diego Zoo, the Balboa Park and even tour the USS Midway. Most couples enjoy trekking the nearby mountains for a morning hike with beautiful views, too. 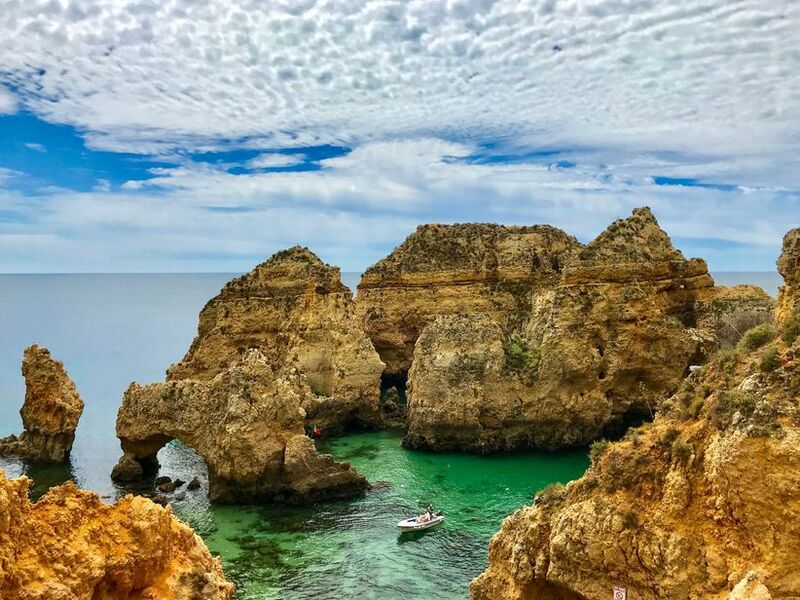 If you want to experience the beaches of Europe but haven’t saved up enough for the Italian or Greek shores, consider making the cross-Atlantic trip to Portugal. In recent years, more direct flights from the east coast to Lisbon, the country’s capital, have made this nation more accessible for Americans. For a fun road-tripping honeymoon, consider spending a handful of days touring through the iconic port city of Lisboa (and sipping wine in nearby Porto) before driving the southernmost point of Europe to Algarve, Portugal. Here, you’ll find jaw-dropping cliffs and caves, with many resorts, villas and restaurants along the way. Though it will definitely be a chillier than say, a Caribbean beach, the Instagram photo opps will blow your mind. You’ve been to Cancun—maybe too many times to count. You’ve also made your way to Mexico City to nom your way through some of the best—and inexpensive—cuisine in the world. Now that you’re thinking about your honeymoon, you want the warmth and flavor of Mexico, but also, something different. 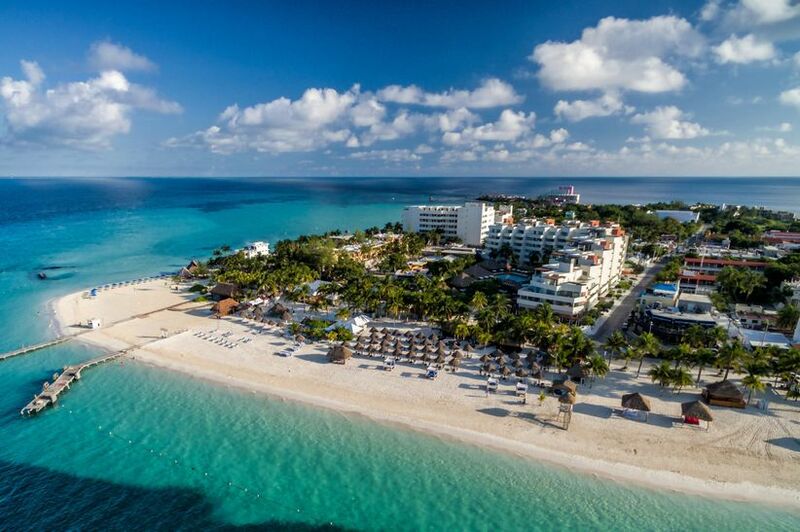 Only a 30-minute boat ride from Cancun is the relatively-unknown Mexican island of Isla Mujeres. Crystal-clear waters and shockingly white sand will greet you as you dock and begin your dreamy trip. You can stay at five-star resorts in Playa Norte beach, or rent a small Airbnb to live as locals do. No matter if you lounge all day watching the catamarans arrive and leave, or spend your time exploring the local markets and seafood restaurants, you’ll definitely be in total beach bliss here. First things first: a flight to Thailand definitely isn’t cheap. But level with us: once you arrive on your Thailand honeymoon, your wallet will rest easy. If you have time to spare, consider creating a flight alert so you know when the best-possible deal becomes available on airfare—and then go for it! There are many Thai islands to explore for your affordable beach honeymoon, but for one that’s more relaxed and less party oriented is Ko Samui. 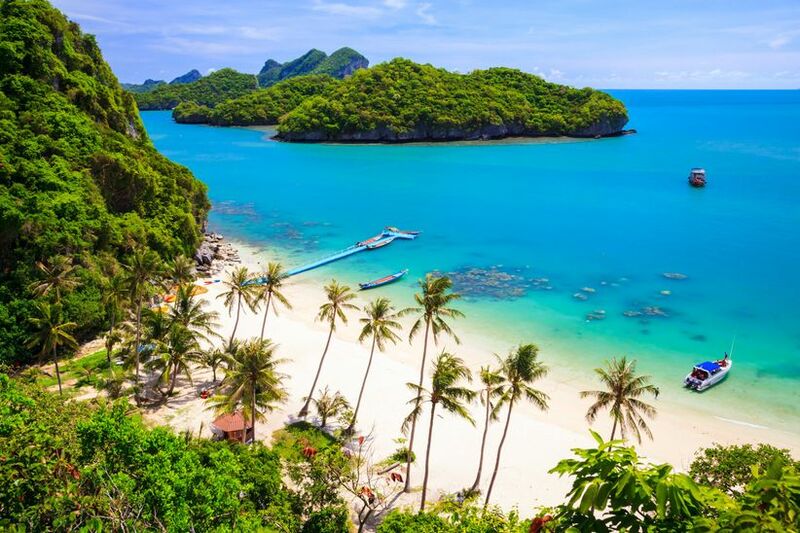 Here, you’ll be blown away by the beauty of the Gulf of Thailand as you stroll past endless coconut groves, rainforests and beaches. At sundown, fire dancers decorate the sand with amazing performances and live DJs fill the shore. You can call a tuk-tuk or a cab to take you back to your resort, many of which are tucked away in the trees, offering views of the beach below.